Before you jump into producing your show, a little basic history of podcasting might be helpful. Podcasting originated in 2004 as a mechanism to get recorded media downloaded automatically to the newly introduced iPod and/or other MP3 Players. Podcasting was unique in that you could subscribe to a show’s RSS feed and the podcatchers of the day would automatically download the media on a schedule, then auto-sync the content to media players. In July of 2005, Apple added podcasting support to iTunes, allowing people to subscribe to a podcast. iTunes then handled the synchronization of the media to its devices. This caused the podcasting space to explode. Today, podcasts are listened to/watched on all glass (“all glass” is a term coined by Todd Cochrane to describe devices of any size with a screen). Most users have access to high speed Internet while they’re mobile and consume podcasts on demand. Some folks download the latest shows to their devices. 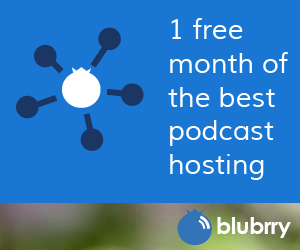 Podcasting has leveled the playing field for all types of media, and podcasters can have a global audience that allows them to deliver their show to any device anywhere. Podcasts are continuing to evolve and gain attention, and in the past ten years content creators have been able to share their audio and video with the world, on almost any type of device possible.